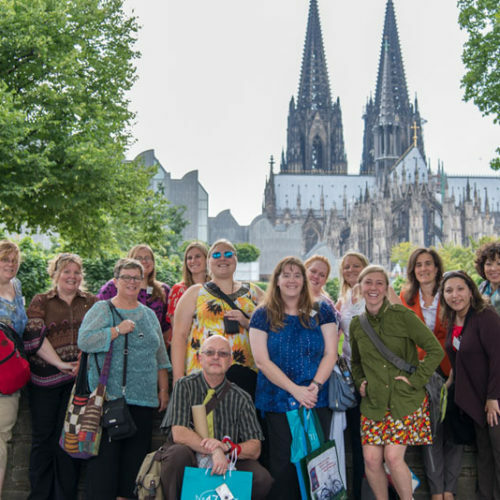 Study Trip for Social Studies Teachers 2014 - Atlantik-Brücke e.V. 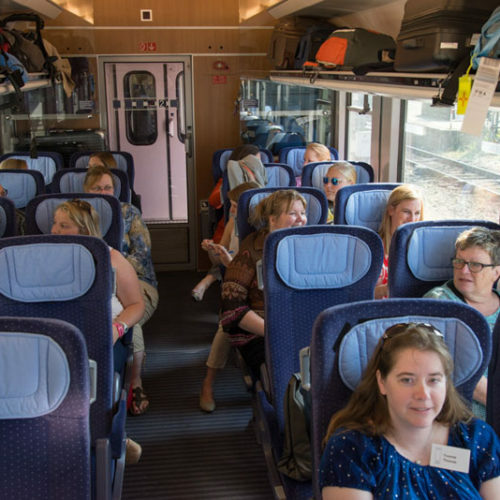 Every year the Atlantik-Brücke invites a group of American teachers to participate in a week-long study trip to Germany. 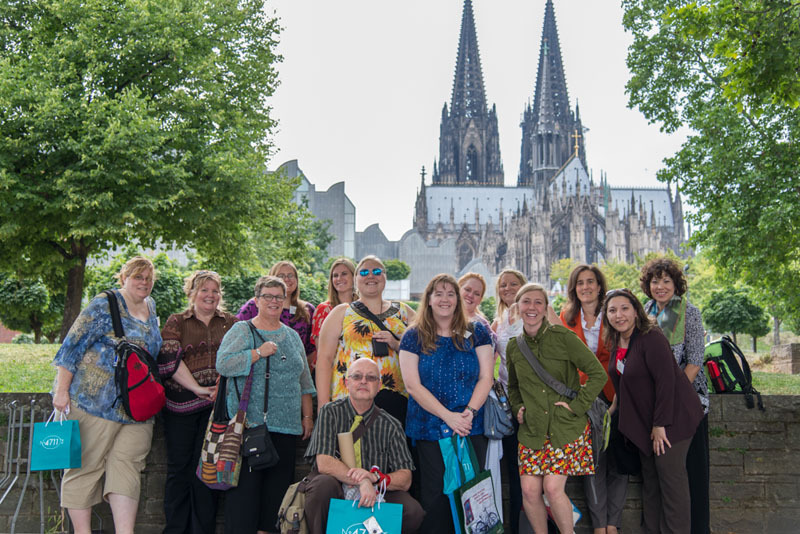 During this year’s trip from June 22 to 29, teachers from Texas and Oklahoma travelled to Frankfurt, Cologne, Bonn and Berlin. 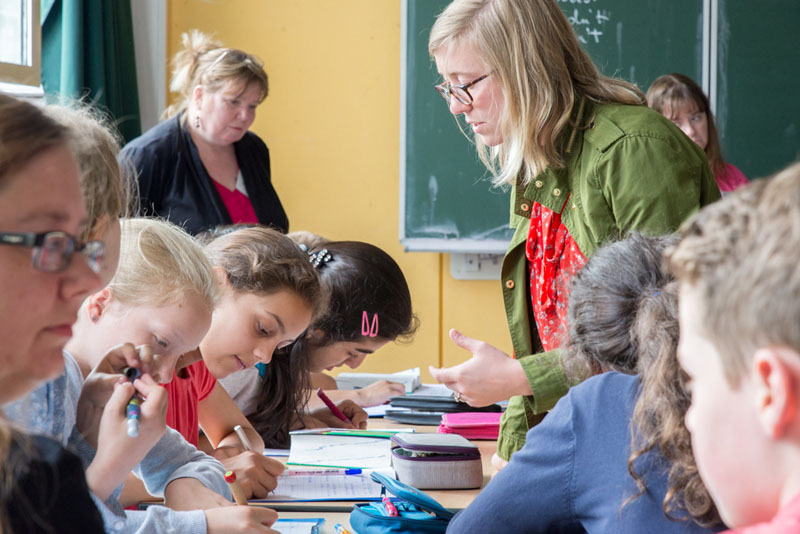 During their short, yet intensive stay in Germany the teachers got to know high-ranking leaders from politics, economics or the media and visited various schools, companies and institutions. 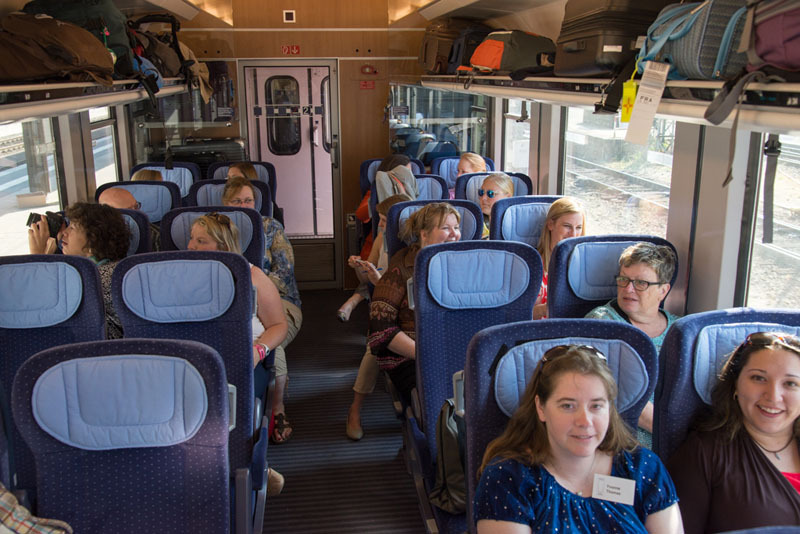 Especially the group from Texas was grateful to escape the heat at home and enjoy the gentle temperatures in Germany during summer. 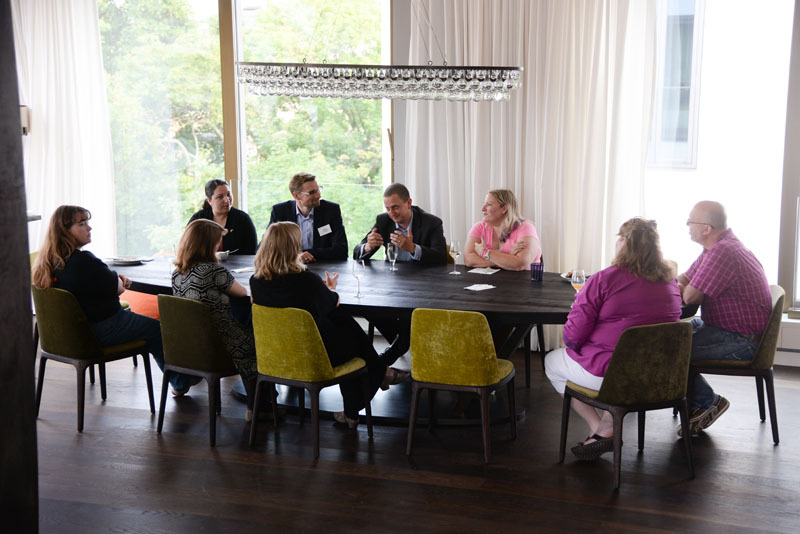 Thanks to the hospitality of Atlantik-Brücke members who opened the doors of their homes, the teachers enjoyed intimate atmospheres for open exchanges with invited speakers. 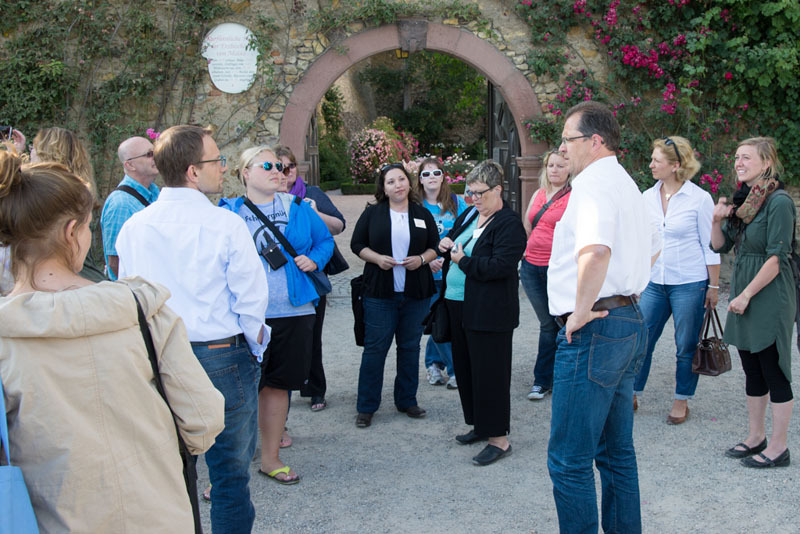 This year, our member Dr. Sebastian Muschter and his wife Pamela invited the teachers to their home in Eltville. 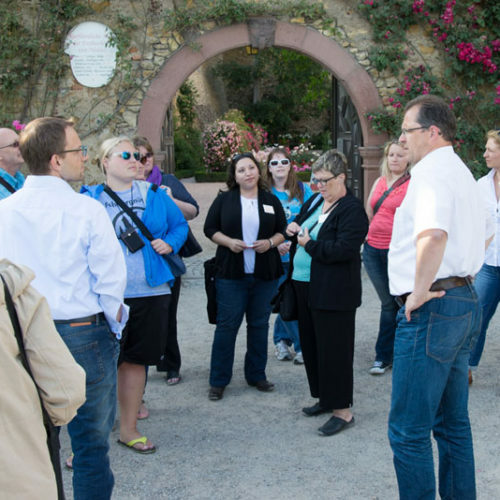 After the welcome by Patrick Kunkel, mayor of Eltville, and his wife Eva-Maria, the group took a walk through Eltville’s famous rosarium and enjoyed a wine tasting in the cozy backyard of the Muschter family. In Berlin, the teachers were invited for dinner at the house of Atlantik-Brücke member Dr. Kurt Schwarz. During the dinner, Karsten Uhlmann, CEO of the Frankfurter Brauhaus GmbH and member of the Atlantik-Brücke, shared his experiences and memories of his youth in the GDR. 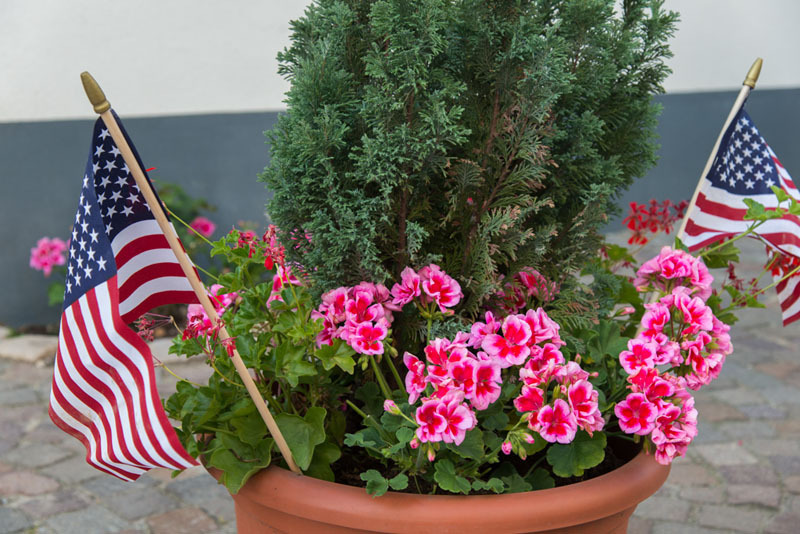 At another private dinner invitation in Cologne, organized by our member Martin Wilhelm and his wife Kathy, U.S. Consul General Stephen Hubler talked openly about current challenges for the transatlantic relationship – mainly the NSA-affair – but also elaborated on the ongoing crisis in Ukraine. Mr. Hubler also discussed possibilities for strengthening trust in the transatlantic relationship again. A further topic on the agenda of journey was a visit at the WDR in Cologne. 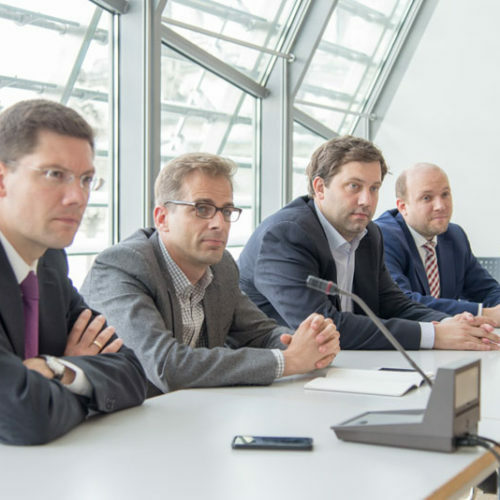 Here, the group discussed freedom of the press in the German media system – especially in comparison to the USA. 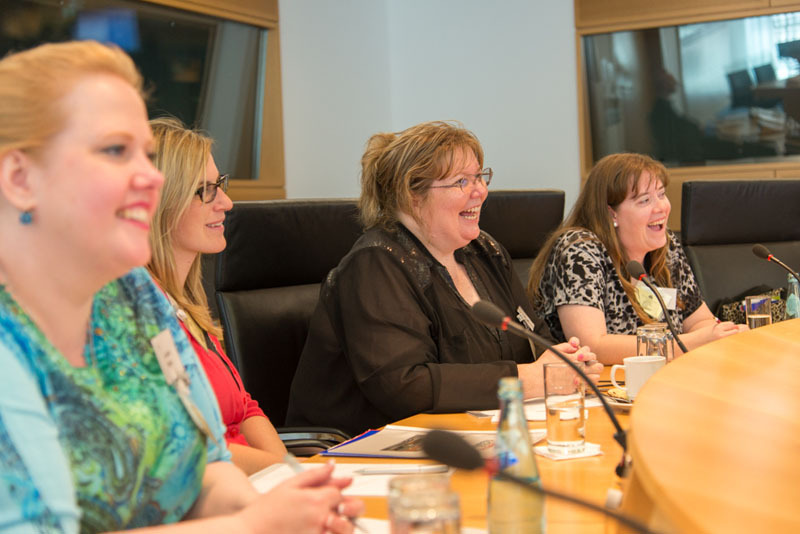 In Cologne, the teachers also visited the Institut der Deutschen Wirtschaft. 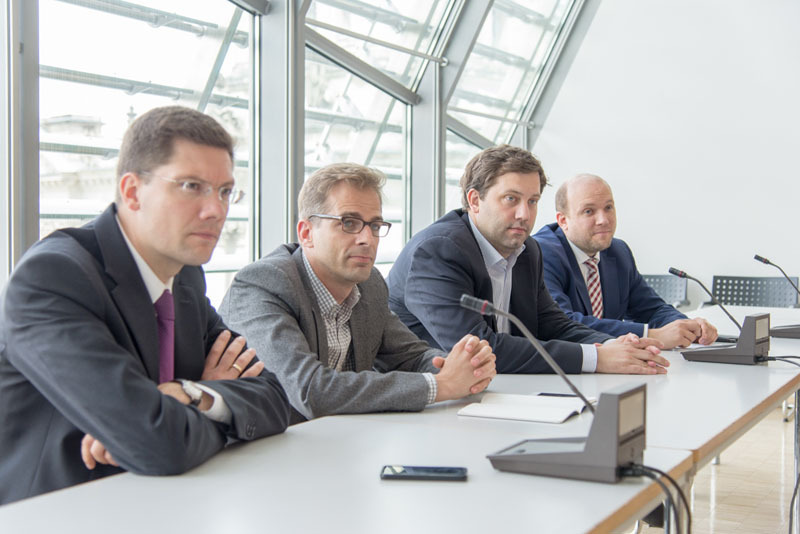 Dr. Hans-Peter Fröhlich, Deputy Director, spoke on current economic developments in Europe, answered questions about the German labor markets. He also gave an overview on the hotly debated plans for aTransatlantic Trade and Investment Partnership (TTIP). 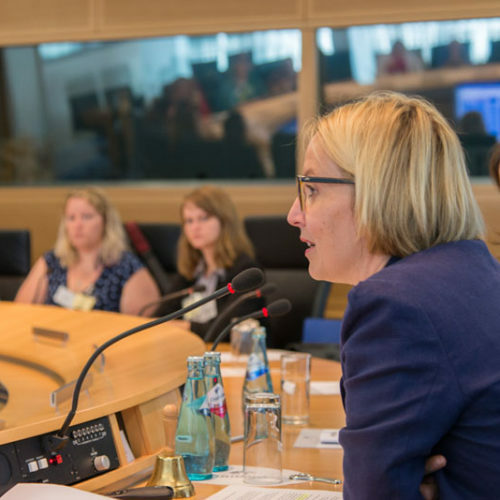 At the European Central Bank, Christine Graeff, Director of the Department of Communication&Language, elaborated on the development of the Euro and the European banking system. In Bonn, the teachers visited the Deutsche Post / DHL and were introduced to the company over lunch by Christopher Wade, team leader of internal communications. 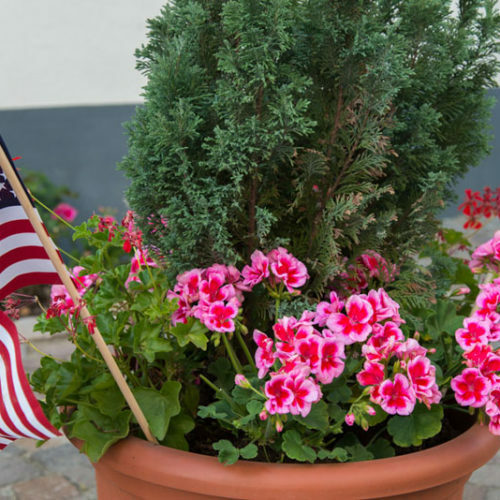 Wade, an American himself, also shared personal insights about his experience of cultural differences between the U.S. and Germany – for example that mowing the lawn on a Sunday is prohibited in Germany. 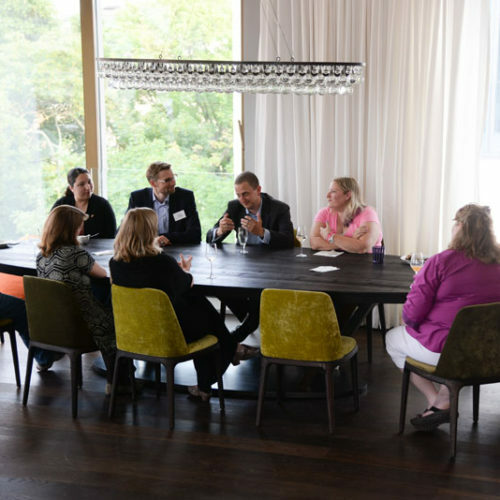 While having a joint breakfast at Microsoft Ventures Accelerator in Berlin, the teachers gained insights about the German Start-Up scene and had a discussion with Shelley McKinley, Member of the Managing Board, Assistant General Counsel and Head of Legal and Corporate Affairs at Microsoft Deutschland GmbH. 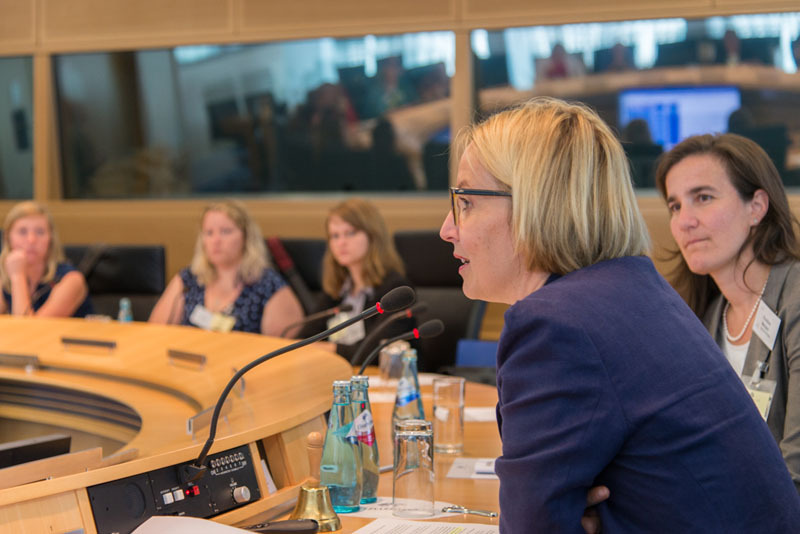 Afterwards the teachers participated in a discussion with members of the German parliament. Christian Hirte (CDU), Lars Klingbeil (SPD), Stefan Liebich (Die Linke) and Manuel Sarrazin (Bündnis 90 / Die Grünen) discussed the German political system, the transatlantic relationship and the current challenges it faces. 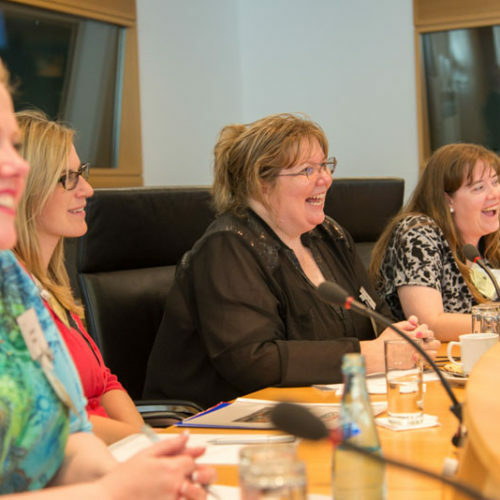 The teachers were impressed that the politicians got along so well – in spite of their different party affiliations. 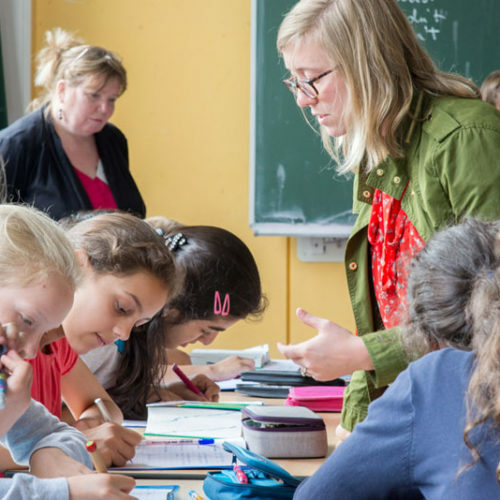 During their time in Berlin, the teachers also confronted Germany’s past. The group visited the Sachsenhausen memorial and learned more about National Socialism and the division of Berlin at the Berlin Wall Memorial.